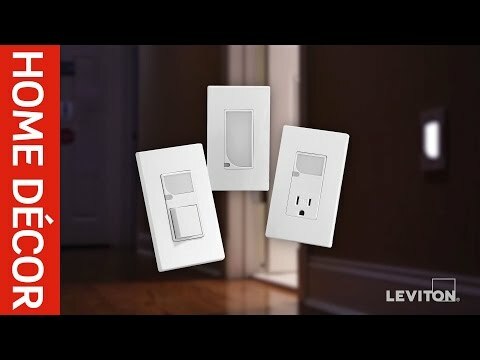 Leviton Decora® True Touch™ 3-Way 1-Pole Preset digital touch dimmer in white/ivory/light almond color, is rated at 120-Volt AC at 60-Hz. Dimmer has touch switch actuator and offers On/Off action for adjusting the light level. The True Touch dimmer has a LED locator that illuminates when the lighting load is OFF. It has a dimension of 2.38-Inch x 4.13-Inch x 1.44-Inch. It has digital circuitry that provides soft-ON/fade-OFF switching for an eye-pleasing effect and improved lamp life. 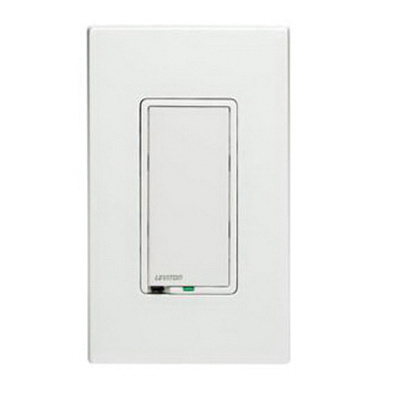 Wall box mountable dimmer has incandescent load capacity of 600-Watts. Dimmer is suitable for use with Leviton DPSPE-212 power extender to extend load capacity to 2000 VA for Advance Mark VII™ and Motorola Helios™ fluorescent ballasts. It operates at temperature range of 0 to 55 deg C. It is ideal for use with Decora screwless and Decora standard designer wallplates. Dimmer is UL listed and CSA certified.